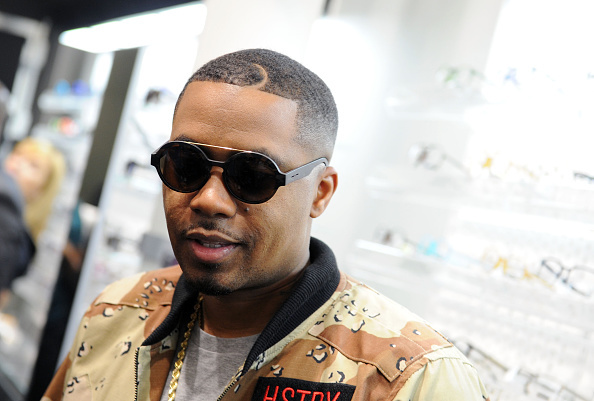 New York native Nas, who released his debut album Illmatic back in 1994, consistently finds himself in many "Top 10 rappers of all time" lists. But this year, as a result of some smart investing, the 45-year-old wordsmith found himself in a completely different Top 10 list. For the first time in his legendary career, Nas found himself on the list of Forbes' Hip Hop Cash Kings list, which reports the hip-hop acts who have made the most money over the past year. Nas, who turned 45 this past Friday, earned $35 million over the past year, which was good enough to put him in a tie with Dr. Dre for the No. 6 spot on the list. The rapper's appearance on the list shouldn't come as much of a surprise to those who have been paying attention to some of his business moves though. Back in 2016, we ran a story that outlined Nas' venture capital tech investment firm, Queensbridge Venture Partners. In a 2016 interview with Fast Company, the "Made You Look" rapper revealed that he had been interested in investing since he was a young boy. At the time, we reported that QVP was investing anywhere from $100,000 to $500,000 in a company, and were pitched by roughly 100 companies per month. Fast forward to today, and Nas is raking in millions from his investments; most notably Ring, a smart doorbell company that was purchased by Amazon for $1.1 billion earlier this year. Queensbridge Venture Partners invested $4.5 million in a Series A investment round back in July 2014. Amazon also purchased PillPack for $1 billion, an online pharmacy company that QVP invested in back in 2014. Don't expect this trend to stop anytime soon. Nas' venture capital firm has invested in a variety of different companies, including Lyft, Coinbase, Genius, and Mass Appeal, and will undoubtedly continue their search for the next big thing. "[Hip-hop artists] are always advancing technology—from one turntable to two turntables and a fader," said Nas to Forbes. "There wasn't a time when [rappers] didn't think about investing. It just so happens that the world is opening up." Over the last 20 years Nas has been regarded as one of the greatest rappers on the planet. Over the next 20 years, he might be regarded as one of the best investors on the planet.